Leaves hurt your lawn by blocking sunlight and air from reaching the grass. Last week, while discussing how you can add fall color to your lawn, we touched on the need to clear your lawn of leaves. This week, we are going to go more in depth on that topic and discuss why it’s so important to have your lawn cleared of all those pesky leaves. Remember, however your lawn looks at the end of fall is how it’s going to look for the entire winter. If your lawn can’t breathe, it’s not going to last long, and heavy wet leaves will make it almost impossible for it to breathe. 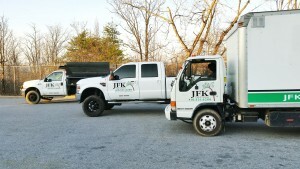 No amount of aerating can make up for a lawn suffocating in leaves, and you won’t see the benefits of aeration or overseeding. The second vital part of a healthy lawn is sun. If your lawn is covered in dead leaves, it won’t be getting any sun. A side effect of your lawn getting less sun is that there will be less evaporation, causing your lawn to stay wetter longer. While this might sound like a great way to keep your lawn watered, it will actually just increase the likelihood of fungus, mold, or disease developing. 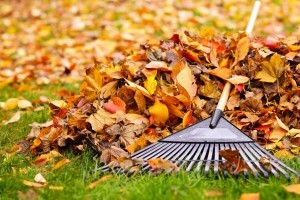 For the best results, leaves should be removed at least twice during the fall. The first time should come around late October when most of the leaves have fallen. The second should be in mid to late November, before the threat of snow but after the last bit of leaves have left the trees. This entry was posted on Wednesday, November 23rd, 2016 at 11:52 am. Both comments and pings are currently closed.